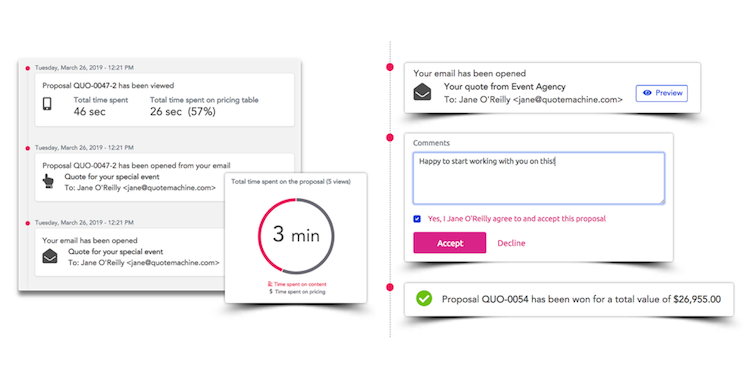 Easily create quotes and invoices that look great on any device, help you sell more and automate your workflows. QuoteMachine integrates perfectly with your POS to bring your quotes to the next level and create a perfect invoicing experience that will help you save time and show your professionalism. Customers can accept or comment on your offers online. Should you need to edit or resend, we make it easy and keep track of all the versions for you and help you automate document creation and payments. QuoteMachine makes it easy to create quotes and invoices. 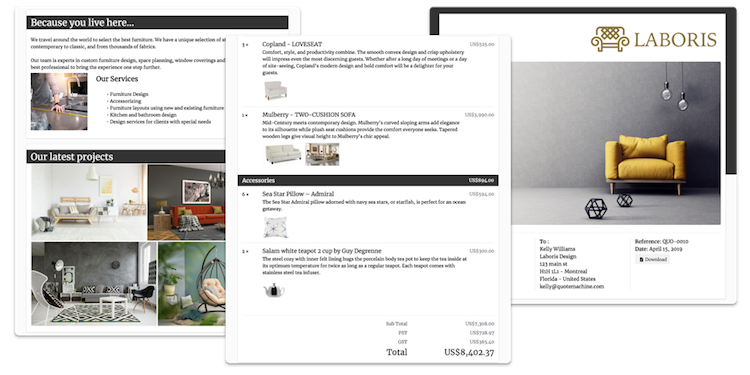 With beautiful templates that show your brand and colors, enriched product descriptions, online quotes and invoices that tell you when your customers read them and let them take action, you will be able to offer a distinctive sales experience. Thanks to deep integration with Lightspeed Retail, your inventory and customer profiles will always be at hand and up to date. Your quotes, invoices, deposits, and payments are brought to the next level and help you stay organized. QuoteMachine is built by Lightspeed Experts. It perfectly compliments your POS to help you grow your business, develop customer engagement and increase your efficiency.